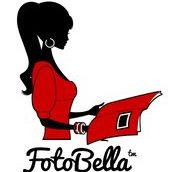 Karen here with my first post for the FotoBella Design Team. I chose the Graphic 45 Imagine Kit because of the beautiful pastel colors of soft rose blush, creamy yellows, and glowing shades of blue. Take a look! This sweet little photo of my sister and niece was just begging to be scrapped but the original colors were less than ideal and clashed. I chose to print it in black & white because it was such a fabulous photo and that saved the picture from being set aside and forgotten. Now I felt like this small change allowed me to work with it and the possibilities were endless. I surrounded them with vintage hot air balloons from the ephemera card pack and adhered a few gems to add a special twinkle. To bring texture and interest to the layout, I added a simple metal charm and touches of ribbons tied into faux bows. Also, notice that I wove ribbon through the holes along the edge of a simple paper doillie to create more layers. Finally, I found the perfect title in the sticker set titled "And So Let the Adventure Begin!" which was perfect for my newborn baby photo. But something was missing so I matted the sticker and added a row of dimensional pearlized paint dots around the border for the perfect finishing touch. Beautiful! Love all the details! SO gorgeous!! Love all of the balloons!